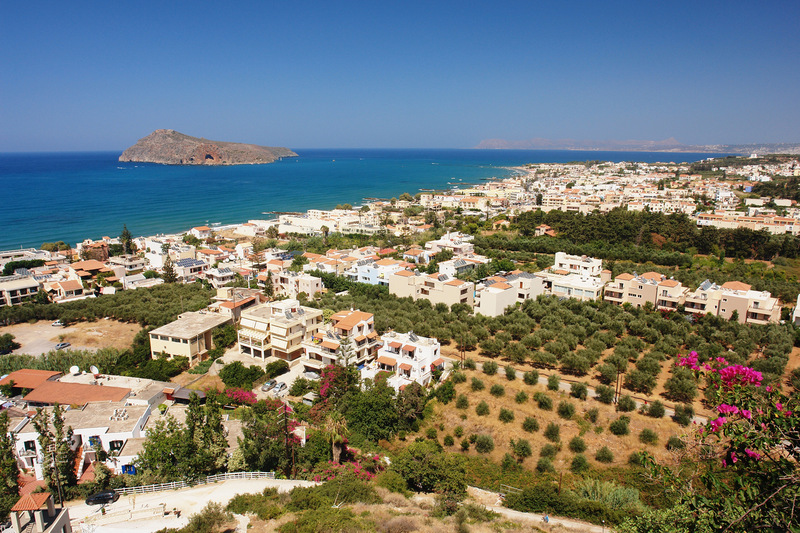 Platanias is in the west of Crete, 11 km west of Chania. It’s located where the Platanias (also called the Keritis) river empties into the Sea of Crete. During the time of Homer (around 900 BC), the river was called the Iardanos. The village is so-named because of the plane (platania) trees which used to line its banks. There is another Platanias in Crete, some 70 km towards the east, near Rethymno. Kato Platanias began to thrive thanks to the burgeoning tourist trade. 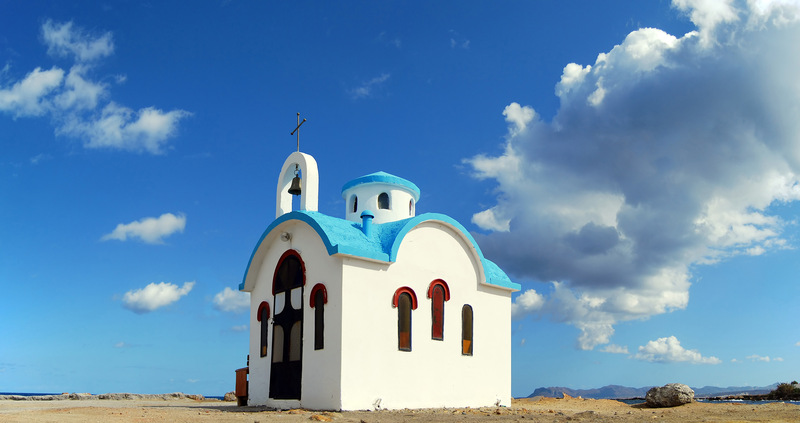 It is now one of the most popular destinations in Crete. It has grown and spread out so much that it has practically merged with next door Agia Marina to the east. Platanias can be a noisy, busy place. Lots of fun if you’re looking for that sort of thing- and a lot of people are, as evidenced by the swarms of tourists who come here every year. 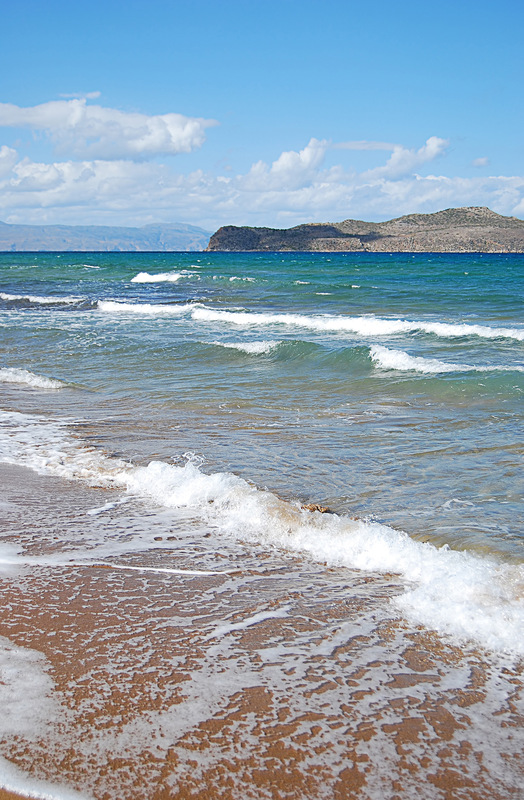 At 7 km, Platanias boasts one of the longest beaches in Crete. It is a favorite of young people seeking a wild and free holiday, but it also attracts large numbers of families with children. In short, there is something for everyone at Platanias. It has some of the most popular night clubs in Crete, which line the main street of the village, running parallel to the sea. Chania, a fascinating city with all kinds of interesting things to see and do, is only 20 minutes away. The beach is a beautiful strand of golden sand, and there are many nice little beach bars, restaurants, snack places, and terraces to sit and enjoy the sun all along its length. 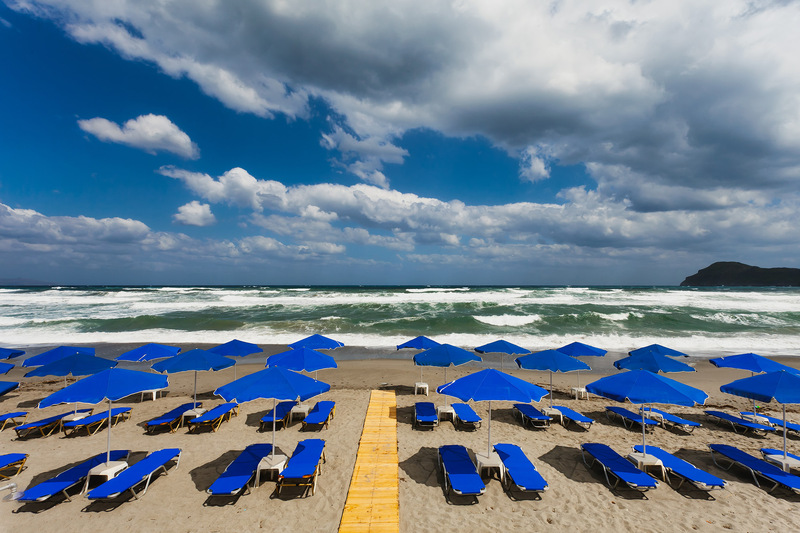 If you’re just walking along the beach, it can be a little difficult to differentiate the eastern boundary of Platanias and the western boundary of Agia Marina, because as you continue along the beach you get much the same thing. In the area, a highlight has to be the road to the farming village of Theriso (which probably comes from the root for the word “harvest”= “therismos”), about a half hour away. The road goes through a rather untamed, green region, then passes through the Theriso Gorge before delivering you to the village itself. 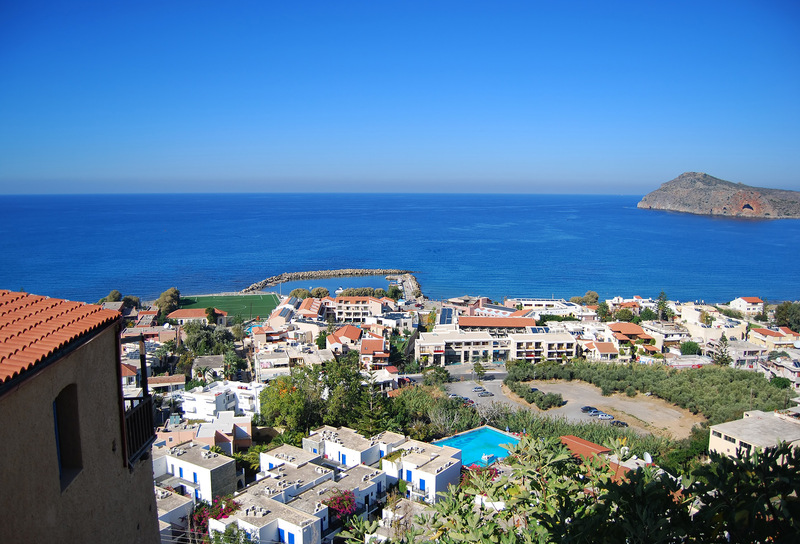 Platanias is in a great location, with a wonderfully beautiful beach, offering water sports, entertainment, good food, and the beautifully clear waters of the Sea of Crete.